Unit 7 - Management Accounting - P2 M1 D1 An excellent piece of work which meets the criteria for P2, M1 and D1 - Unit 7 Management Accounting. 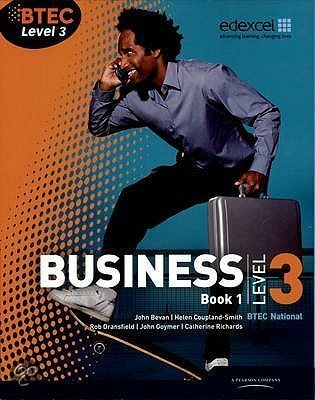 BTEC Level 3 Business. P2 - Carry out a break-even analysis for a selected organisation. M1 - Assess the implications of different activity levels using the results of a break-even analysis for a selected organisation. D1 - Evaluate the reliability of break-even analysis in estimating budgeted activity levels for a selected organisation. På denne side finder du referater, notater, studieguider og meget andet for studiebogen BTEC Level 3 National Business Student Book 1, skrevet af Catherine Richards & Rob Dransfield. Referaterne er skrevet af de studerende selv, som giver dig et godt indblik i hvad der er vigtigt at studere i denne bog. Emner som btec, BTEC, BTEC Business, management accounting, level 3 business, BTEC Business Level 3, P2 & Level 3 Business tages der god hånd om.